Michael Barringer's solo exhibition Threshold is on view April 3 - 27 with a reception honoring the artist Friday, April 5 6:00-8:00 pm. 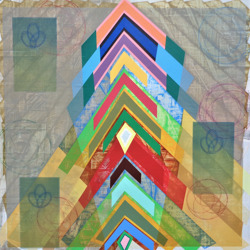 Barringer's abstract paintings are influenced by Gee's Bend quilts, Hubble Telescope images, cave art, sacred sites, nature forms, sacred texts, ancient rituals, jazz music, and poetry. 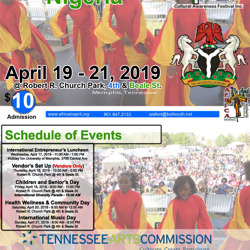 Africa In April Cultural Awareness Festival, Inc. are making plans for Festival 2019 from April 17-21 on the internationally known Beale Street/Robert Church Park. This year marks our 33rd Anniversary and we anticipate record attendance. 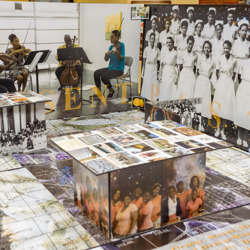 This Anniversary Celebration will recognize Memphis& Shelby County’s Bicentennial from 1819-2019 utilizing various mediums with different themes daily, educational excellence, arts/crafts, afro centricity, economics, genealogy, musicology, entrepreneurship, international relations, cuisine, drug awareness, history, tourism, culture and the Arts. Our honored country, the Federal Republic of Nigeria will attract international, national, regional, state officials, ambassadors, Memphis/ Shelby County parochial schools, colleges, universities, community organizations, religious leaders, institutions, and numerous dignitaries from the African Diaspora. 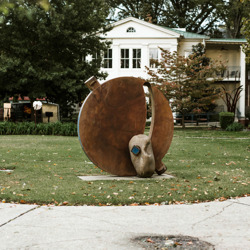 Visions of Memphis is an exhibit of artwork submitted to the Memphis In May Poster Competition. Online voting took place February 1-12 by the public and a panel of distinguished jurists also weighed in. This year submissions were accepted because the festival is saluting Memphis rather than a country as in years past. Treat yourself to Sunday Brunch at Cafe Brooks by Paradox from 11 a.m. until 5 p.m. every Sunday. 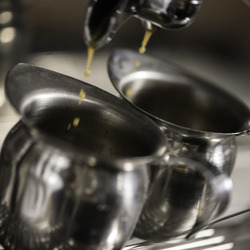 Experience the unique and creative menu, especially created for the museum. Cafe Brooks has also just launched a new kids menu! Members of the Brooks Museum receive a 10% discount. Just show your membership card when ordering. 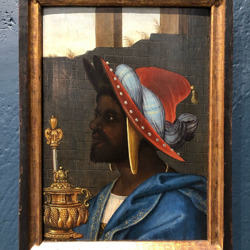 There will be pieces featured on loan from the Whithers Museum, as well as many never before seen artifacts from Orange Mound's Community and Residents and specialty pieces from community artists for all to enjoy. Come and Soak in some Orange Mound History! 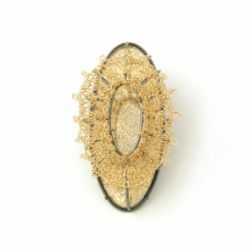 image: Jill Baker Gower, "Golden Reflection Brooch," 2017. Argentium sterling silver, 14K gold fill wire, mirrored acrylic, 23K red gold leaf, stainless steel. Photo courtesy of the Artist. Listen to a gallery talk led by Museum staff on topics including current exhibitions and works from the permanent collection. We will meet in the lobby of the main building before the talk begins. 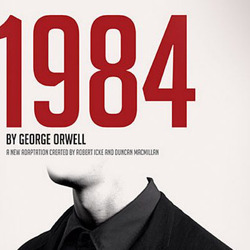 Based on the iconic novel by George Orwell, 1984 brings us the story of Winston Smith, a cog in the giant machine state of Oceania. Under the close eye of Big Brother, Winston has been caught struggling for scraps of love and freedom in a world awash with distrust and violence. 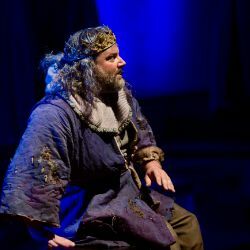 With the brutal “help” of four Party Members, Winston is forced to confess his Thoughtcrimes before an unseen inquisitor, and the audience — which acts as a silent witness to his torture. Fall in love with Collage Dance for the first time or all over again with heavenly works, including Sir Frederick Ashton’s transcendent "Meditation" from Thaïs and "Come Rain or Shine," a world premiere ballet by Princess Grace Award winner Joshua Manculich. Rebirth is an experience in grace, salvation, and the indomitable strength of the human spirit. Audience favorites like "Wash," which brings physical and emotional elements of the "river" to the stage, the New Orleans-inspired "New Second Line,' by award-winning dance maker Camille A. Brown, and a roof-raising performance by the Collage Youth Ensemble round out the soul-stirring program. Enhance your experience on Sunday with a gourmet brunch at 1pm immediately before the matinee performance. Life Drawing group open to all levels. $10 other Others (Suggested Donation) As always, BYOE (easel). “You can make an artist out of a scientist but you can’t take the science out of his art”. 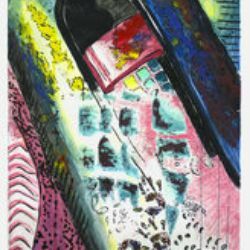 Come see an amazing display of works by award-winning scientist-turned-artist, Dr. Gopal Murti. You may also visit his website at www.artofgopalmurti.com. Flicker Street Studio presents an exhibition of small scale painting, drawing and sculpture. 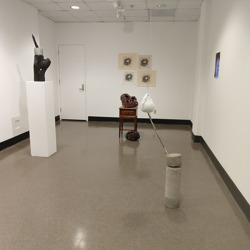 The work of 13 artists is presented including Nancy Cheairs, Jim Buchman, Melissa Dunn, Elizabeth Alley, Meredith Olinger and Susan Maakestad. We gather at the garden each Tuesday during the school year from 3p.m. until 5p.m. We work with children from Cornerstone Prep and Lester Middle School on take home art projects and permanent art installations. 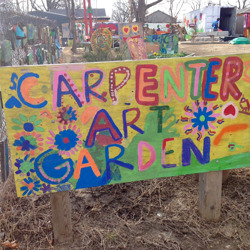 egister here to volunteer or contact Megan at 319-981-0380 or [email protected] to learn more! Start your day with a gentle yoga class led by a certified instructor. After each session, guests are encouraged to take advantage of their improved cognition, caused by increased blood flow to the brain during exercise, through touring the Museum’s exhibitions. See what New Ballet's mission is all about! Hear from students, staff, and volunteers during this one-hour-tour highlighting New Ballet’s mission and community impact. Get a glimpse of dance classes and sometimes rehearsals. 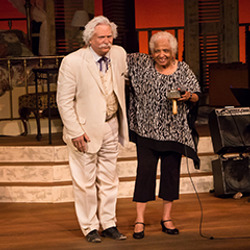 With a President's Committee Award from Michelle Obama, and Kennedy Center ovations for "New Moves, Symphony + Dance," New Ballet Ensemble & School brings together professional and student artists from the Memphis community through an astonishing intersection of dance forms – Ballet, Flamenco, African, and Hip-hop. 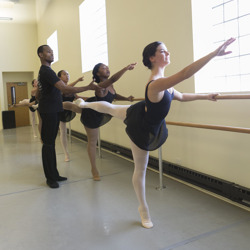 New Ballet Ensemble and School’s mission is to bring young people together with a professional standard of training, regardless of their ability to pay. Wednesday tours last from 5:30-6:30 and are held at the New Ballet Studio. Thursday tours last from 3:30-4:45 and start at Dunbar Elementary before ending at the New Ballet Studio. We have one Friday tour during the summer. Space is limited. Email [email protected] or call 901.726.9225 to reserve your place on the tour.bring young people together with a professional standard of training, regardless of their ability to pay. Wednesday tours last from 5:30-6:30 and are held at the New Ballet Studio. Thursday tours last from 3:30-4:45 and start at Dunbar Elementary before ending at the New Ballet Studio. We have one Friday tour during the summer. Space is limited. Email [email protected] or call 901.726.9225 to reserve your place on the tour. 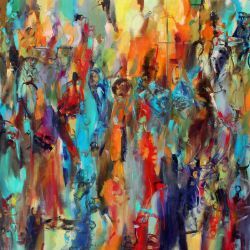 Art Village Gallery invites you to Collectors and Cocktails, a private viewing in celebration of the opening of a new solo exhibition by celebrated Ethiopian artist, Zeinu Mudeser. The exclusive "first look" of "Visions of Illusion" will be held Thursday, April 25 from 6:00 p.m. - 8:00 p.m. with free cocktails and conversation among fellow patrons and collectors. 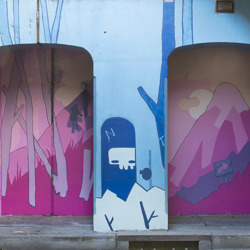 The solo exhibition includes thirty new and recent works. RSVP before Monday, April 22nd for free entrance. Tickets will be $5 at the door. "Join us for Trolley Night! 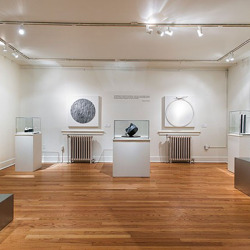 The Withers Collection Museum & Gallery has partnered with Leadership Memphis to display a monthly exhibit open to the public the last Friday of every month. The Withers Collection Museum & Gallery has partnered with Leadership Memphis to display a monthly exhibit open to the public the last Friday of every month. 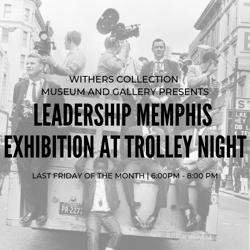 Join us for Trolley Night at the Leadership Memphis Gallery. 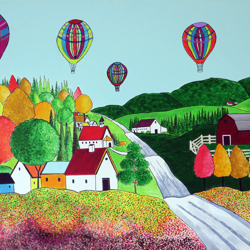 Olivia Lichterman will hold a solo show of her paintings at 430 N. Cleveland on April 26-27. 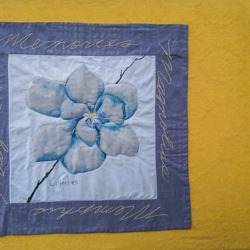 Technically, Lichterman is an art student because she will not graduate from University of Tennessee until May, however, that is where the word “student” begins and ends in connection with her driving creative force. 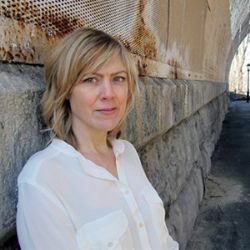 A recipient of the 2018 Kimberly D. Iles Art Award, Lichterman creates 2D – paintings, and drawings – as well as 4D “time-based” art. Her innovative thinking is readily apparent to casual observers as well as art patrons in her choices of media. Even for works on canvas and paper –she terms them drawings regardless of media used –multiple layers of media are the preferred choice to offer texture and dimension. The result is stunning. “Through an investigation of popular culture, I find that there are waves of influence that both reflect and define the social climate. By using a collage of imagery and drawing materials, I create cultural landscapes that reflect influences from society and explore the energy surrounding popular phenomenon,” said Lichterman. 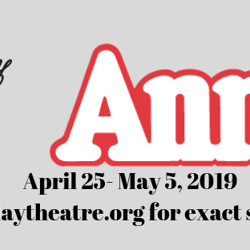 The show on N. Cleveland will be open on Friday, April 26, from 6 – 9 pm and from 10 am - 1 pm the following day. To see more of Lichterman’s work , visit www.olivialichtart.me . Art Village Gallery is thrilled to announce, "Visions of Illusion," a solo exhibition by celebrated Ethopian artist, Zeinu Mudeser. The artist's second solo exhibition with the gallery offers vibrant and colorful expression that captures the essence of fantasy versus reality in 30 new and recent artworks. Join us for the opening party on Friday, April 26, from 6-8pm for a rare opportunity to meet the artist in person, while experiencing his new body of work. 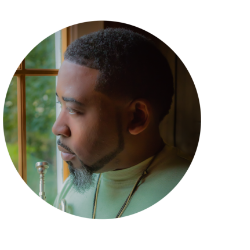 Levitt Shell and Memphis Library Foundation present 5 Fridays of Free Jazz. 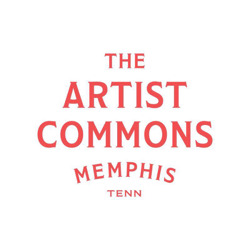 All shows are held at Benjamin L Hooks Central Library (3030 Poplar Avenue, Memphis, TN 38111) All concerts are free. Food trucks and bars will be onsite with items for purchase. Donations are always appreciated but not mandatory. Are You An ARTIST, VISUAL DESIGNER, PHOTOGRAPHER Or CREATIVE? GET INVOLVED! PARTICIPATE IN THE MOVEMENT! Let the entire city see your work! We want to see you paint POSITIVE strokes for MEMPHIS!!! 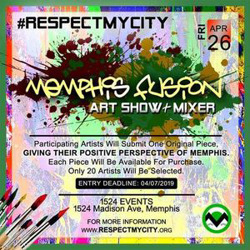 Have your art featured at the #RESPECTMYCITY campaign MEMPHIS FUSION ART SHOW & MIXER! While making a difference, your artwork / designs will be on full display, in front of some very key and influential people. They want to purchase original works. As a RESPECT MY CITY FUSION ART PARTICIPANT, your artistry will receive a ton of advertising and marketing. o when you think of Memphis and positivity, what do you see or want to see? Viola is shipwrecked in a violent storm off the coast of Illyria and she comes ashore with the help of a Captain. She has lost contact with her twin brother, Sebastian, who she believes to be drowned. 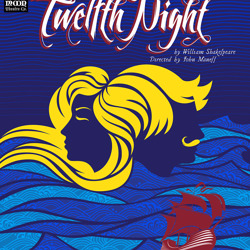 With the aid of the Captain, she disguises herself as a young man under the name Cesario, and enters the service of Duke Orsino. 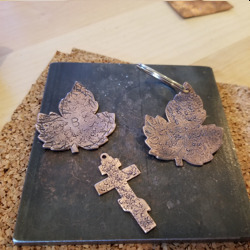 "Use copper, steel stamps and hammers to create a personalized tag. When the design is done, we'll turn it into a keychain, dog tag, luggage tag, pendant, or a zipper pull. 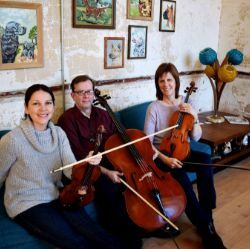 $10 per project | Ages 7 and up (15 and under must have an adult present; younger children may require assistance)"
Look, listen and create with Studio Institute Memphis! Join us for a family-friendly art program inspired by illustrated books. Story time will be followed by hands-on art projects engaging parents and children. While all ages are welcome, activities are geared towards ages 4-7. Free admission; no registration necessary! 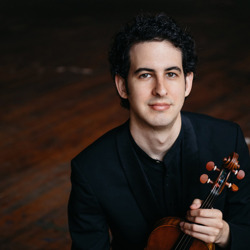 Saturday, April 27th at 7:30 PM: Up-and-coming violin virtuoso Itamar Zorman is a brilliant performer who has wowed audiences all over the globe. 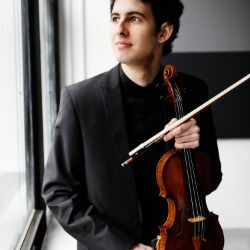 The top prize winner at the 2011 International Tchaikovsky Competition, Zorman is an incredibly soulful and evocative artist, distinguished by gripping performances and a gift for musical storytelling. Featuring pivotal works by Dvořák and Brahms, this is a spirited and soul-stirring program that you’ll remember long after the final note is played. A 30-minute performance addressing today’s period of radical absolutism nationwide – unapologetic racism, anti-Semitism and sexism among a population and leadership struggling with the pervasiveness of one religion (over science) and fighting to prevent immigrants from entering its borders. The government is widely suspected of collusion with foreign adversaries while its own citizens’ rights are drained of protection. 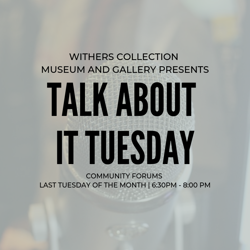 "Talk About It Tuesday” is a monthly panel discussion with Q & A designed to bring people from the local community together to inspire discussion about the significant impact of cultural history in movements for economic and social justice. Our goal is to bring people from the local community together to give them inspiration for what our non-profit organization is hoping to achieve through education and engagement. We want to promote discussion about the significant impact of cultural history in movements for economic and social justice. We are committed to raising history awareness, which we hope will also raise funds and donations that can contribute to future exhibits from the archive of more than 1.8 million images of the iconic internationally renowned photographer Dr. Ernest C. Withers."